Moreover, there is a legal principle that a driver or pedestrian does not have to anticipate the negligence of another driver. Unless a person knows that a motorist will not be exercising due care or following traffic regulations, there is a presumption that other drivers will follow the laws and exercise reasonable care. Keep in mind that this principle does not apply to a minor child near a roadway. You should not expect such a person to know the traffic laws. So what does exercising reasonable care mean ? Often for local and greater San Antonio drivers, it means keeping your vehicle under control at all times so as to avoid dangerous contact with vehicles and pedestrians. There have stories of drivers in Bexar County losing consciousness, and causing an accident. It may be due to an unforeseen heart attack, stroke, epileptic seizure, diabetic attack, or fainting episode. The sudden loss of consciousness can be a viable defense but the critical question is whether such a medical condition was foreseeable. The concept of foreseeability is critical when a San Antonio auto injury lawyer is faced with such a defense. For example, was the driver aware of the medical condition that caused the incapacity ? Did he take any medications for the condition ? Had there been prior incidents of loss of capacity ? Did any physician warn the person not to drive ? Were there any advance warnings the person would have experienced prior to becoming incapacitated? These are just some of the major areas a good auto injury attorney will explore when faced with such a defense. Baseluos Law Firm is very experienced in the handling of auto claims, particularly in the initial investigative stages. Reviewing police reports combined with interviews of the investigative officer and witnesses are critical tasks. An attorney should never assume that there is no question of liability. In practicality, in a motor vehicle collision, there has been some violation of traffic laws, but one should never assume negligence is automatically the result. Baseluos Law Firm is especially adept at handling common motor vehicle accident cases, such as the all too common rear end collision. In Bexar County and Texas, whenever a vehicle rear ends a vehicle in front of it, the driver of the vehicle is automatically presumed at fault. Drivers in these situations will try to deflect responsibility by claiming they had the vehicle under control, had clear view of the vehicle ahead, and followed at a safe distance. We often see defendant drivers claim that the vehicle in front came to an unexplained sudden stop, which precipitated the accident. That is when the firm must work to show additional evidence of negligence, such as a driver talking on their cell phone immediately prior to the accident. The law firm will pull phone records and do exhaustive investigation as most defendants will not readily admit this. Other types of accidents besides a rear end collision, involve clear liability.. Those include collisions where the defendant crosses into the plaintiff’s lane; a left-turning driver who impacts an oncoming vehicle; and driving through a red light. Some accidents do not easily translate into driver liability. For example, we cannot assume negligence in San Antonio from a driver skidding on a wet road unless there is some other negligence involved such as driving too fast for road conditions. Other types of accidents are not as clear cut and a law firm must do extra digging to establish liability. Intersection collisions are especially difficult and more often than not both drivers are negligent to some degree. 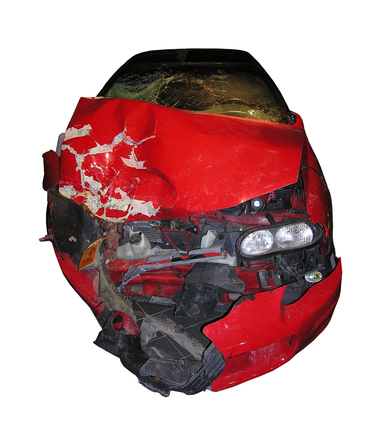 Finally, we tend to believe that negligence in San Antonio car accidents belongs to the driver operating the vehicle. Yet one has to think outside of the box – for example, the owner may have negligently entrusted the vehicle to an intoxicated or incapacitated driver or perhaps the owner failed maintain the vehicle’s safety features like brakes. The mechanic who repaired the vehicle may be liable for example if the brakes failed.